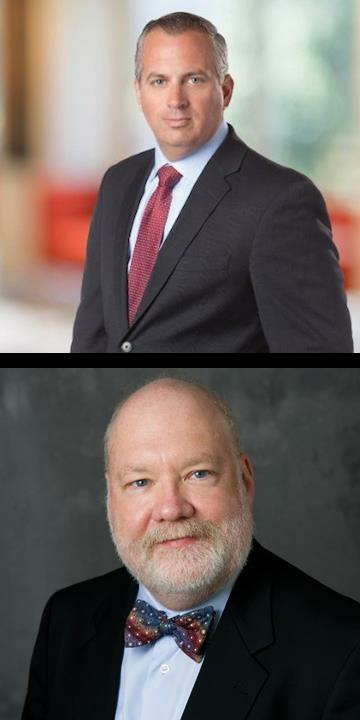 (MENAFN Editorial) ATLANTA, October 26, 2018 (Newswire.com) - T.E.N., a technology and information security executive networking and relationship-marketing firm, announced today that Roland Cloutier, Staff Vice President and Chief Security Officer of ADP; and Eugene 'Spaf' Spafford, Professor of Computer Sciences and Executive Director Emeritus of the Center for Education and Research in Information Assurance and Security (CERIAS) of Purdue University will be honored as the 2018 ISE® Luminary Leadership Award Winners during the ISE® North America Leadership Summit and Awards on Nov. 8-9, 2018 at the Summit Chicago and Hyatt Regency Chicago in Chicago, IL. Presented annually, the award celebrates the achievements of an outstanding leader and industry practitioner for his or her distinguished service, stewardship, and contributions in advancing the information security industry. Roland Cloutier brings ADP, a global leader in human capital management (HCM) solutions, one of the world's largest providers of business outsourcing solutions, a wealth of global protection and security leadership experience. His expertise includes the management of strategic converged security and business protection programs. Cloutier has functional and operational responsibility for ADP's cyber, information protection, risk, workforce protection, crisis management, and investigative security operations worldwide. Prior to ADP, Cloutier served as Vice President and CSO of EMC, where he spearheaded protection of the company's worldwide business across both the commercial and government sectors. He has held executive security management roles at consulting and managed security service organizations and has more than nine years of experience in federal law enforcement. Cloutier is active in industry development and serves on several private advisory boards; and has won numerous industry awards and was recognized by Security Magazine as one of the 'Most Influential People in Security.' In fact, as a United States Air Force veteran, he understands the importance of serving our country and supporting those who have made many sacrifices to ensure our way of life. Cloutier volunteers for veteran organizations such as the American Legion, 100 Nights of Remembrance and serves as executive sponsor for the ADP National Employee Veteran Council. Eugene H. Spafford is one of the most senior cybersecurity researchers in the field. He has made major, seminal contributions to cybersecurity in his 40-year career, including 31 years at Purdue. His research in topics such including firewalls, intrusion detection, and forensics underlies most of our current cyber technologies. His innovation and efforts in cybersecurity education led to international initiatives, a network of centers of excellence, and Purdue CERIAS's leading position in the field. And his continuing advising and advocacy—from community groups to professional associations to industry boards and C-level managers and government officials, including Congress and Presidents of the USA—has helped to keep attention focused on issues of security, safety, and privacy. Professor Spafford is a Fellow of the AAAS, ACM, IEEE, (ISC)², a Distinguished Fellow of the ISSA, and a member of the Cyber Security Hall of Fame—the only person to ever hold all these distinctions. In 2012 he was named as one of Purdue's inaugural Morrill Professors—the university's highest award for faculty, recognizing outstanding accomplishment in the combination of scholarship, teaching, and service. In 2016, he received the State of Indiana's highest civilian honor by being named as a Sagamore of the Wabash. Among many other activities he a member of the Council of ACM, and is editor-in-chief of the journal Computers & Security. Cloutier and Spafford were selected by a group of previous ISE® Luminary Leadership Award winners, which include Ed Amoroso (2005), Stephen Katz (2006), Dr. C. Warren Axelrod (2007), Larry Brock (2009), Craig Shumard (2010), Rich Jackson (2011), Anne Kuhns (2012), William Murray (2014), Bill Boni (2015), Jim Routh (2016) and Dr. Peter Tippett (2017). T.E.N., a national technology, and security executive marketing and networking organization, facilitates peer-to-peer relationships between top executives, industry visionaries and solutions providers in the cybersecurity industry. Nominated for numerous industry awards, T.E.N. 's executive leadership programs enable information exchange, collaboration and decision-making opportunities for Information Security Executives and cybersecurity solution providers alike. Its flagship program, the nationally-acclaimed Information Security Executive® (ISE®) of the Year Program Series and Awards, is North America's largest leadership recognition and networking program for security professionals. T.E.N. delivers ISE® Private Dinners across 44 major cities throughout the U.S. and Canada to create even more opportunities for Information Security Executives, professionals and security solution providers to Connect, Collaborate, and Celebrate. For more than a decade, the Information Security Executive® (ISE®) of the Year Award Program Series has empowered security executives and their project teams to Connect, Collaborate and Celebrate. Recognized as the industry's most prestigious IT Security award program, it has become the most anticipated award program for security executives and their project teams. Winners have included executives and project teams from leading organizations such as Aetna, AT & T, Bank of America, Comcast, Cox Automotive, Ellie Mae, HMS, Jabil, PayPal, and SunTrust.